CAPITOL OPERA RICHMOND is a Non-Profit, all volunteer organization founded to act as a resource and information center for "Voice Professionals" of all types, such as trained singers, broadcasters, and public speakers, and to provide a performing venue for local singers, musicians, directors, conductors, choreographers and dancers. We take great pride in the diversity and talent of our casts. Karine Eva Marshall, lyric soprano, attended the High School for the Performing Arts in Philadelphia, PA. Shortly thereafter, she moved to New York City and attended the American Musical and Dramatic Academy (AMDA). Immediately upon graduation she began touring with Broadway shows. Karine performed and covered roles in Oklahoma, Hello Dolly, and Annie get your Gun, performing throughout Europe, the Far East, and the United States. It was while ushering at the Opera Garnier in Paris that Karine Eva found her true musical love in opera. She has earned degrees from Conservatoire de Boulogne, the San Francisco Conservatory of Music, and has done graduate work at California State University, Sacramento. Praised for her impassioned acting and multifaceted tone. Mrs. Marshall has performed and includes in her operatic repertoire,Manon in Manon, Musetta and Mimi in La Boheme, Tatyana in Eugene Onegin, Rosalinda in Die Fledermaus, Despina in Cosi fan Tutte, Micaela in Carmen, Damon in Acis and Galatea, Galatea in The Lovely Galatea, Nedda in Pagliacci, Salome in Salome, Susanna and Barbarina in the Marriage of Figaro, Susanna Walcott in The Crucible, Bastienna in Bastien and Bastienna, Wellgunde in Das Rheingold and the Sandman in Hansel and Gretel. Karine Eva has a particular affinity for new opera, having created the roles of Jasmin in Carla Lucero's Wournos and Peguine in Janis Wilson's The Wedding. In addition to opera, Mrs. Marshall is an active recitalist and concert singer having performed the soprano solos in the Requiem and Piccolomini Masses of Mozart,Handel's Messiah, Bach’s Ein feste Burg, John Rutter’s Requiem, Vivaldi’s Gloria, Faure’s Requiem, The Seasonings by Peter Schikele, and Schubert's Mass in G and Mass in B Flat. Karine Eva is also a film and voice over actress. She is currently represented by Uptown Talent in Richmond Va, and Talent One agency in Raleigh NC for film, voice over, and print work. ​Acclaimed by Richmond Times Dispatch’s Tony Farrell “especially baritone Chase Peak . . . who delivers every line with magnificent dynamics and indulges in terrific, expressive bits of acting business whenever he is onstage” for his role as Kapitan Tiago in COR’s production of Noli Me Tangere in 2016. He was also heralded by M. D. Ridge of WHRO Norfolk as “robustly extroverted with a big, exuberant voice and confident manner” in the 2014 production of La Bohème, where he was featured in the role of Schaunard with Lyric Opera of Virginia. In 2008, he performed the National Anthem for President Barack Obama. Baritone Chase Peak is a graduate of VCU’s Department of Music with a vocal performance degree. Mr. Peak is in high demand for church and cathedral performances, and has most notably performed the solos for Fantasia on Christmas Carols (Vaughan Williams’), Stabat Mater (Dvořák), Carmina Burana (Orff), Messa di Gloria (Puccini), Faure’s Requiem, and Handel’s Messiah. He performed the role of Guglielmo in Mozart’s Cosi fan tutte with Virginia Opera’s Young Artist Program. Most recently, Mr. Peak performed the title role in the East Coast Premiere of La Rinuncia by Richard Rose, Stephan in Gilbert and Sullivan’s Iolanthe, Peter the father in Humperdinck’s Hansel and Gretel, and Mr. Colas in Mozart’s Bastien and Bastienne. These were all performed with Capitol Opera Richmond. In Chase’s personal career he works as a Relationship Manager in Private Wealth Management with Equity Concepts, whose main focus is helping people to be the best stewards of what God has entrusted to them. ​Caroline Whisnant was born in the USA where she studied music sciences and lyrics. After a having been at the Opera Studio of the Virginia Opera she made her debut as Fiordiligi|Così fan tutte. She has won acclaim with critics and audiences alike for her sensitive and technically assured performances of a wide range of roles, including Tosca in Pensacola and New Jersey, Suor Angelica in Nevada, Leonore|Fidelio in San Antonio, Desdemona|Otello in Baltimore, Santuzza|Cavalleria rusticana in Kansas City, Senta|Der fliegender Holländer in Buffalo, Madame Lidoine|Les Dialogues des Carmélites in Tulsa, Maddalena de Coigny|Andrea Chénier in Kansas City, Rosalinde|Die Fledermaus in Kentucky, Norma in Bogotà and also Turandot in Bogotà, Des Moines, Dallas, Kentucky, Pensacola, Arkansas, Portland and Santiago de Chile. 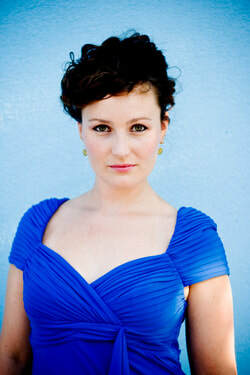 ​Jessica Wakelyn, coloratura, is a Baroque enthusiast. A student of Michelle Harman-Gulick , she studied at Virginia Commonwealth University where she focused in Vocal Performance and English. Always the coquette, she has performed Susanna from Mozart's Le Nozze di Figaro, Zerlina from Mozart's Don Giovanni, Josephine in HMS Pinafore, Miss Silverpeal in Mozart's Der Schauspieldirektor, and Serpina in Pergolesi's Baroque masterpiece La Serva Padrona, and Adele in Strauss' Die Fledermaus. Her Baroque training has come from world renowned harpsichordist Jory Vinikour, soprano Céline Ricci from Les Arts Florissants, and lutenist and countertenor Mark Rimple. She was very happy to combine her skills acquired through years of learning and research to create her first Baroque pastiche The Legend of Sleepy Hollow for Capitol Opera Richmond. She presently works with COR, teaches English full-time at Virginia Commonwealth University, and is planning a recital of French Baroque and Female Baroque composers. James Taylor, M.M. (Yale), is an internationally celebrated tenor. At home in opera, concert, recital, and musical theatre, he has appeared with numerous opera companies, symphonies, and theatres, including the New York City Opera, San Francisco Opera, Opera Carolina, Sarasota Opera, Gottigen Handel Festspiele, Theater Augsburg, and the Nederlandse Reisopera. He has given recitals in the US, Europe, and Asia. In his earlier roles as baritone, Mr. Taylor performed the title roles in Il Barbiere di Siviglia and Le nozze di Figaro, Marcello in La Boheme, among others. As tenor, his performances have included Siegmund in Die Walküre, Parsifal in Parsifal, the title role in Lohengrin, Don Jose in Carmen, Manrico in Il Trovatore, Cavaradossi in Tosca, and Pinkerton in Madama Butterfly. His many concert performances include Hándel's Messiah, Bach's Magnificat, Beethoven’s Symphony No. 9, and Mozart's Requiem. Among his numerous awards, Mr. Taylor was winner of the Metropolitan Opera District Auditions for Connecticut, Finalist in the Eastern District Finals at New York's 92nd Street Y, and was a finalist in the International Belvedere/Hans Gabor Competition, the Dutch International Vocal Competition, and the Lieder Competition of the International Johannes Brahms competition. In addition, Mr. Taylor was invited to participate in the International Tchaikovsky Competition in Moscow. A talented and sought-after educator, he has served as Director of Opera at Drake University and the University of Alabama, and has been on the music faculties of VCU and the University of Virginia. His students have gone on to such prestigious schools as the New England Conservatory, Juilliard, Manhattan School of Music, Yale University, Guild Hall, LAMDA, RADA, and the Royal College of Music. Several of his students perform regularly internationally in opera and musical theatre, and have their own theatre companies across the United States and in Europe. His student, Lawson Anderson, is the current winner of the George London Foundation's Kirsten Flagstad Award for Young Wagnerian Singers. Mr. Taylor has had the pleasure to work with many of the top Artist Teachers in the business, such as Richard Cross, Doris Yarick-Cross, Jackson Sheats, Andrew Gainey, and Seth Riggs. He has also participated in Master Classes with Placido Domingo, Sherrill Milnes, and Regine Crespin. Mr. Taylor resides in Bon Air, Virginia, with his wife Sheridan.